﻿ Attorneys | Howard & Gupta, P.C. Ajay Gupta received a B.A. Degree from the State University of New York at Albany in 1988 while majoring in political science and minoring in communications. In 1991 he received his Juris Doctorate degree from the Detroit College of Law and has been licensed to practice law in the State of Michigan since January, 1992. He is a member of the Wayne County Probate Bar Association. Gary Howard received a B.A. Degree from the University of Michigan in 1976 with a major in political science and a minor in economics. He received his J.D. from Wayne State Law School in May of 1979. 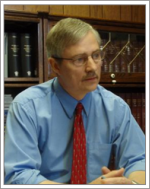 He has been licensed to practice law in the State of Michigan since November, 1979. 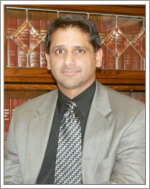 He is a member of the Family Law Section of the State Bar Association.